Sign up to the mailing list to receive information on the lost in music radio show and club dates. Lost In Music is about the music we love. mp3's are online for a limited time and for discovery purpose only. support the music, buy the original records, don't believe the hype. This is the Lost In Music Blog. It's all about the rush of discovery - the pride in standing up for quality. Come here for regular playlists of the Radio Show, DJ mixes, charts and features from the world of underground dance music. Rainer Klang has kept the turntables spinning since the early nineties, organised parties, collected records and has been busy playing in many European cities. He is hosting his own club night “Praterei", among whose guests were Gerd Janson, Move D, Soulphiction, Trus'me, Reade Truth (Planet E), Henrik Schwarz, Kalabrese, Brennan Green and more ... 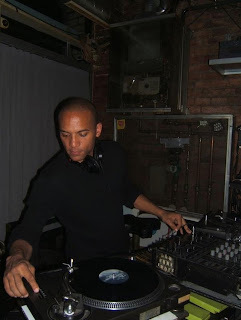 He is a long-time DJ and vinyl enthusiast, these days playing a mixture of extra deep house and techno with a generous helping of disco thrown in.